The Crown Jewel elevates a crystal diamond to a new level. This brilliant award is stunning and magnificent. 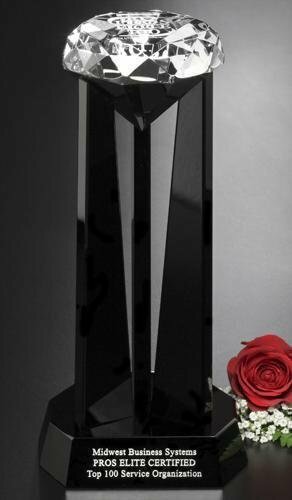 It will capture the attention of onlookers and be a prized possession for a deserving recipient. 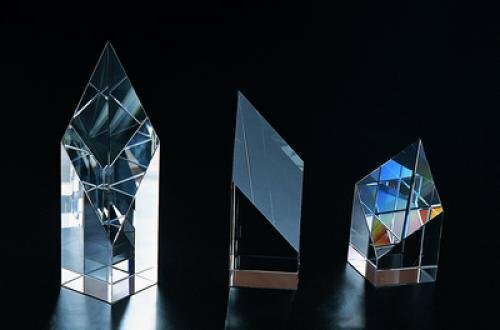 The Crystal Premier Diamond Award is made from pure optic crystal. It is 7" in height and engraving is included in the price. 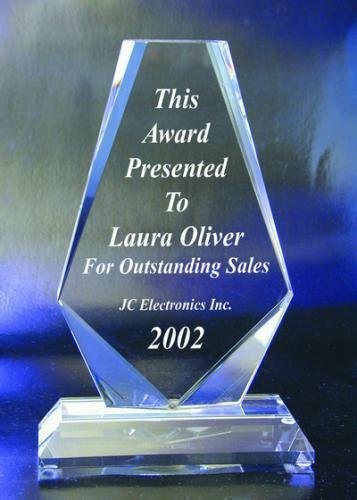 The Crystal Straight Diamond Awards are made from fine optic crystal and comes in 3 sizes. The tallest is 9"